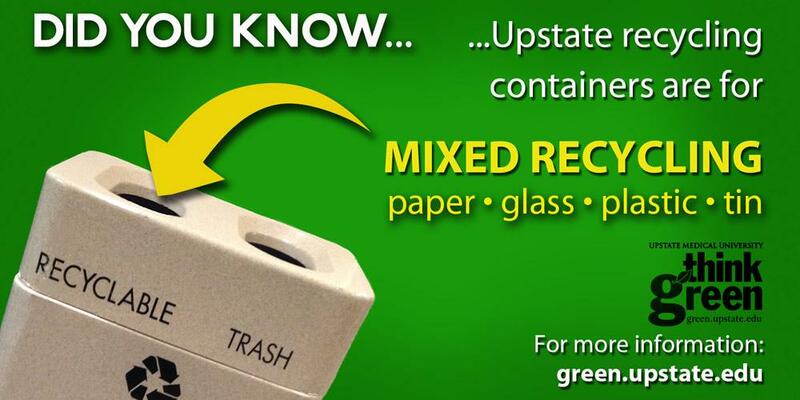 Our recycling efforts saved Upstate over $500,000 last year. Every item we recycle, reduces our total waste removal costs. What is my role as an employee, faculty, student, or volunteer at Upstate?